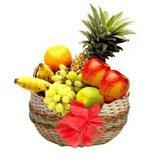 Presenting delectably fresh seasonal fruits in a basket. 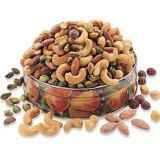 This bountiful basket consists of 1/2 Kg. 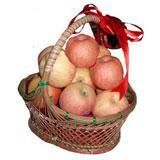 Apples, 1/2 Kg. Pears, 1/2 Kg. 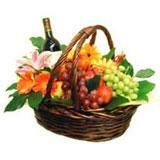 Black Grapes, 1 Pineapple, 6 Oranges in a round wicker basket with handle. Ribbons adorn the handle of the basket. 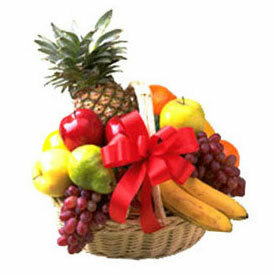 Send this exclusive fruits basket to all cities in India to your near and dear ones and express your truest love for them. You can also send Gifts across India through GiftsAcrossIndia.com to your loved ones to make the occasion more special than ever. 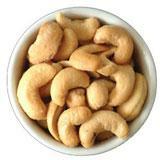 Please Note: If a particular fruit is not available, then we will be replaced with other available fruits.